The week ahead is one of the most fun weeks in the college basketball season. Preseason tournaments are set and madness is inevitable. Heading into this Thanksgiving week chalked full of entertaining matchups, how do the rankings stack up? The defending champion Wildcats are No. 1 after taking the most impressive road win of the season on Monday at Purdue. And in the No. 2 position, the Hoosiers of Indiana, behind incredible and consistent offensive production, look like the favorite in the Big Ten. Kentucky will be the No. 1 team in the AP Poll this week, and the Wildcats looked awfully impressive in their shellacking of Michigan State on Tuesday night. But despite Malik Monk’s big performance, I still worry about UK’s ability to put up points, particularly in the frontcourt. But there’s no denying that those guards are lethal, and the entire team’s defense is suffocating. Kansas rebounded from the Indiana loss by knocking off top-ranked Duke, allowing the Jayhawks to slide up one spot. And Duke, despite winning in Connecticut this weekend, slides to No. 5 for this reason alone: the Blue Devils are not a top-three team right now. By March, sure, they will be. But right now, the frontcourt is just too thin. I want to talk about North Carolina. It’s not getting a ton of recognition, but the Tar Heels’ road win at Hawaii on Friday night was very impressive. Despite a huge time-zone difference, the Tar Heels defeated a competent opponent by 15 points. That’s no easy feat, hence the jump in UNC’s rating. Virginia, Arizona, and Louisville are get a bit of a bump, partially due to the Wisconsin Badgers’ loss at Creighton on Tuesday. I don’t think November road losses should be penalized very much. I love how coaches aren’t afraid to schedule early games away from home. But it was a 12-point loss where Wisconsin’s defensive interior was picked apart, so a four-spot fall seems fair. Right as I talk about how you shouldn’t be penalized for early-season road losses, I have to have the Oregon conversation. The Ducks are the best team in the Pac 12, and they’re going to be extremely good in March. But right now, this is not a top-five team. The Dillon Brooks-less Ducks were trashed in Waco against Baylor, and I expect them to struggle in Maui as well, even though he’s back. He’ll be eased back to speed, and Brooks may not be himself until a few games from now. St. Mary’s had a fantastic road win this weekend when it went into Dayton and stole one. Aside from Villanova’s win at Purdue, that’s probably the most impressive road win in college basketball thus far. Xavier won the Tires Pros Invitational in Orlando, but it wasn’t exactly inspiring in barely beating Missouri, Clemson and Northern Iowa. 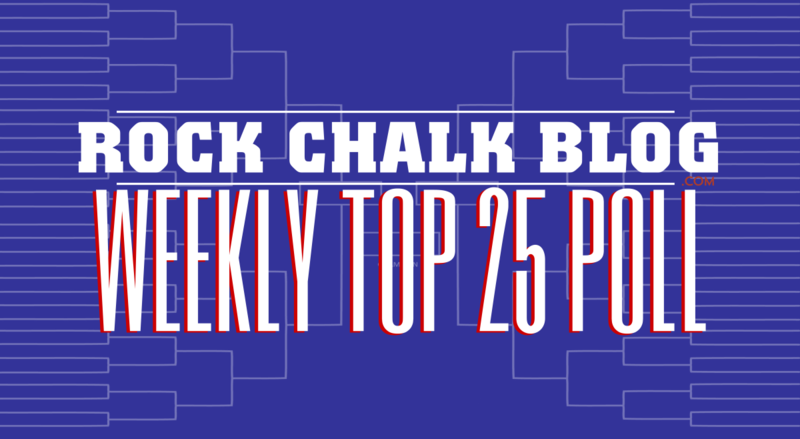 Oh, and West Virginia and Gonzaga held sturdy this week, moving them into the top-15. Purdue lost a heartbreaker to Villanova, but the Boilermakers won’t fall very far because the Wildcats are, in my opinion, the best team in college basketball. Creighton jumps up a bit after the Wisconsin win, and UCLA checks in at No. 18 right behind the Blue Jays. As for Rhode Island, despite the loss to Duke on Sunday, I think the Rams impressed in Connecticut this weekend, so I’ll move them up. And the Iowa State Monte Morrises move up to grab the last spot in the top-20. Syracuse is No. 21, but things are not going well in East Lansing for the Spartans so far this year. It took a controversial ending to help Michigan State avoid a stunning upset to Florida Gulf Coast. Here’s the thing, though: I’m picking the Spartans to win in Atlantis this week. If they do, fans will forget about their early-season struggles. Virginia Tech is the best team that nobody seems to realize is really good out there, and Baylor enters the rankings following its dominant win against Oregon. And to close out the list, I’ll include the talented-but-young Cal Golden Bears, who needed overtime to clip UC Irvine this week.